Looking for Health Wealth Coaching? You CAN achieve your personal health wealth, fitness and happiness goals with coaching from acclaimed Health Wealth guru Alexis Ells, longtime health and motivational educator, entrepreneur and humanitarian. Alexis Ells is world renowned for her knowledge and insight to solve nutrition and immune related health problems. She is especially sought out for her unique insight into complex endocrine immune related issues. Medical Doctors and alternative health care practitioners often seek her insights, guidance and collaboration regarding their patients and clients. Alexis has pioneered many innovative approaches in the field of alternative medicine and was the Founder/Director of The Body Balance Center, an institute dedicated to the integration of wellness for Body, Mind and Spirit. Understanding the impact of how all thoughts and beliefs including negative ones, become reality, her gifted insight turns the mystical into practical user friendly tools and valuable wisdom to live by. Alexis is the founder, CEO and formulator of the TERRAOCEANA line of organic, high powered, superfood products. She has coached world-class athletes, celebrities and regular folks to peak health and performance, and was the co-creator & co-host of The Fitness Files, a nationally syndicated radio health program. Her work as a Health and Wellness writer has been featured in numerous health and wellness magazines. 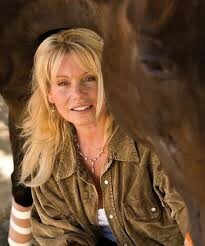 Alexis, the TERRAOCEANA products and The Equine Sanctuary, have also been featured in many books and publications. National Geographic produced an award winning television documentary on Alexis and she was featured in the National Geographic Magazine for her outstanding rehabilitation work with horses, children and US Veterans as well. Alexis can show you the way to your personal Health Wealth, peak performance, vibrant well-being and will mentor you to achieve the life you have always dreamed of having. Over my 30 plus years of direct experience coaching people to their highest potential, two things stands out more than any other factors — how a person thinks/speaks and proper nutrition. These elements are critical to your personal Health Wealth and healing. Aligning these areas allows true health and abundance on all levels to manifest. Today’s fast-paced lifestyle makes it difficult, if not impossible to get the nutrition your body desperately needs to power your life. Over time, this leads to health challenges, such as excessive weight gain (or loss), compromised immune functions, hormonal issues, allergies, and a host of other imbalances and disease states. This can be compounded by accidents or surgeries that end up causing long term unmanaged pain that can and often does lead to dependance on pain medication and or alcohol to cope with both the physical and emotional pain states. With all the unavoidable life stressors that challenge you, your loved ones and the state of the world at large… it is easy to become negative, fearful and to lose sight of your vision, dreams and passion. My unique approach for guiding you to optimal Health Wealth, happiness and vibrant energy begins with a comprehensive assessment that outlines a clear path to success. Discover your path to vibrant energy, balanced metabolism, ideal weight, happiness and the grace, ease and confidence you deserve to live with every day. Reserve your appointment today. Call (805) 640-9429, or request a Personal Consultation via email. Let this be the year that you finally achieve the Health Wealth, peace and fullfillment you have been searching for and are destined to have.